Our goal is to connect people with the best local experts. We scored plumbers on more than 25 variables across five categories, and analysed the results to give you a hand-picked list of the best plumbers in New Orleans, LA. Located in New Orleans, Blair Plumbing Sewer & Draining Cleaning is a locally owned and operated full-service plumbing company that has been serving residential and commercial customers for 40 years in the surrounding areas of Louisiana, including West Bank, Jefferson, and River Parishes. Fully licensed and insured, their team of trained technicians provides a wide range of services such as broken or damaged water lines, faucet leaks, bathroom repairs, garbage disposals, installing plumbing fixtures, resolving issues with water heaters, drain cleaning, and more. A member of the Better Business Bureau, they are also affiliated with Plumbing, Heating and Cooling Contractors Association (PHCC). More information can be found on their company website. Blue Flash Sewer & Drain Cleaning of Harahan, Louisiana is a locally-owned plumbing company with service to the Eastbank and Westbank as well as the Northshore. The company began in 1974 as a residential, apartment, and apartment cleaning business, and has since expanded to include industrial and commercial plumbing. They offer free estimates for a variety of services which include cleaning and repairs to face basins, kitchen sinks, bathtubs, dryer vent lines, sewer lines, storm drains, and swimming pool drains. Trained technicians use the latest in technology to clean and diagnose plumbing issues, like specialty color cameras, locators, and sondes. Using NaviTrack Scout Locators, technicians can easily locate and detect the depth of sewer line breaks for faster repairs. Bob's Plumbing Inc. is a full service plumbing business established in 1965 in Harahan, Louisiana that specializes in repairs, as well as new construction and remodeling jobs. Their highly experienced crew provides expert plumbing services, including gas and water line installation, licensed backflow testing, unstopping sewer lines, tub, shower drains, kitchen sinks, and toilets, and re-routing broken water lines. Additional areas of expertise include electric and gas water heater installation and repair, as well as floor furnace repair. This company is an Authorized Kohler Representative that services Whirlpool and Jacuzzi pumps, motors, and jets. Bob's Plumbing Inc. offers senior discounts, is a BBB accredited business with an A-plus rating, and received the Angie's List Super Service Award in 2016. Care Services Inc. is a Belle Chasse business that has been serving residential, industrial, and commercial customers in Plaquemines Parish and the West Bank for more than 52 years. Services the business provides include water heater repairs, water heater parts, sewer cleaning, drain cleaning, piping location, sewage treatment parts, septic tank parts, under slab repairs, video inspections, high pressure water jet cleaning, gas tests, and air conditioning repairs. The business also provides 24/7 emergency service. Care Services Inc. is accredited by the Better Business Bureau and has an A+ rating. The business is licensed and insured. Hours of operation are Monday to Friday from 8 a.m. to 4:30 p.m.
Jesus Is Lord Plumbing Company is a plumbing contractor in Metairie, Louisiana, founded in 1998. They are expert in new construction, renovations, and repairs and specialize in basic plumbing and repairs, new construction plumbing, new construction plumbing, commercial plumbing, under slab sewer repairs, as well as advanced plumbing and installation services. Their basic plumbing and repair services include dripping faucets, leaking pipes, broken water heaters, blocked internal and external drains and blocked sewer and subsurface lines. Jesus Is Lord Plumbing Company has warranties, insurance, and licenses. They are a proud member of the Plumbing-Heating-Cooling Contractors' Association and is a Better Business Bureau accredited business. John Montalbano Plumbing and Heating has been serving homes and businesses in the New Orleans area and the surrounding communities since 1959. They are committed to exceeding client expectations by providing quality service at affordable rates. This family-owned-and-operated business is fully licensed and insured. John Montalbano Plumbing and Heating provides a wide range of residential and commercial plumbing and heating solutions including water heater and furnace repair and replacement, drain and sewer cleaning, fixture repair and replacement, backflow testing, and tunneling for broken water and sewer lines. They also offer plumbing services for remodels. Free quotes for plumbing and heating services are available. Naquins Plumbing Inc. is a family owned and operated company that has been in business for almost a quarter of a century. It is a local firm that serves the greater Jefferson Parish area in Louisiana. It provides a comprehensive range of general plumbing services, including sewer repair, drain rooting, sewer rooting, gas inspections, faucet replacement and toilet replacement. It has particular expertise in water heater repairs, and the experts here have the necessary resources and know-how to offer sewer treatment plant installation services for industrial clients. Naquins Plumbing's service area encompasses Marrero, Gretna, Belle Chasse, New Orleans, Violet, and Poydras. The company serves residential, commercial, industrial clients, and it takes on new construction projects. It is fully licensed and insured. Pipes “R” Us is a family-owned and operated plumbing company serving the New Orleans, Louisiana community, and the surrounding Jefferson metropolitan area. For over ten years, Pipes “R” Us has provided a variety of residential and commercial services including video pipe inspections, drain cleaning, sewer cleaning, 24-hour emergency services, new construction, and plumbing fixture installations. This company also offers drain backups, plumbing renovations, sewer odor removal, house raising, water heater installation and repair, and gas line inspections. Customers recommend Pipes “R” Us and their team of professionals for their high-quality work, friendly customer service, and attention to detail. Plum Co, LLC is a Metairie business that has been serving commercial and residential customers for more than seven years and has over 18 years of experience. The business provides a variety of services including drain cleaning, gas installation, inspections, and repairs, video inspection, water heaters, heating, plumbing, solar pool heat, solar pool pumps, solar water heaters, and solar attic fans. Plum Co, LLC is licensed and insured and offers financing. The business’ hours of operation are Monday to Friday from 8 a.m. to 4 p.m. and Saturday from 8 a.m. to 2 p.m. Customers appreciate their attention to detail, responsiveness, honesty, prices, and reliability. For decades, Tom’s Sewer Drain and Service, based in Belle Chasse, Louisiana, is a plumbing company that uses advanced methods and technology to provide exceptional, affordable service to small and large industrial, commercial, and residential properties. 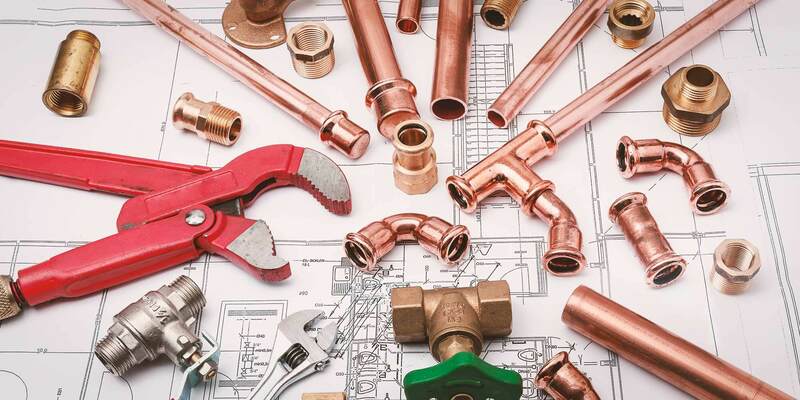 They offer a wide variety of options including plumbing repair, clogged drains, sewer and drain cleaning, Sewer and Pipe Video Inspections, backflow prevention testing, Gas Line Inspections and Repair, water line rerouting, and more. 24-hour emergency and same-day service is available, trucks are radio dispatched for rapid response, they work with most insurance companies. The company has received an A+ rating from the Better Business Bureau, and customers have commended them as skilled.